Imagine the same electric atmosphere in the heart of Bristol: this is what the St Nic’s Nocturne will be like…. This event is an iconic series of cycling races concentrated in a tight circular route around St Nicholas’ Market in the heart of old Bristol. 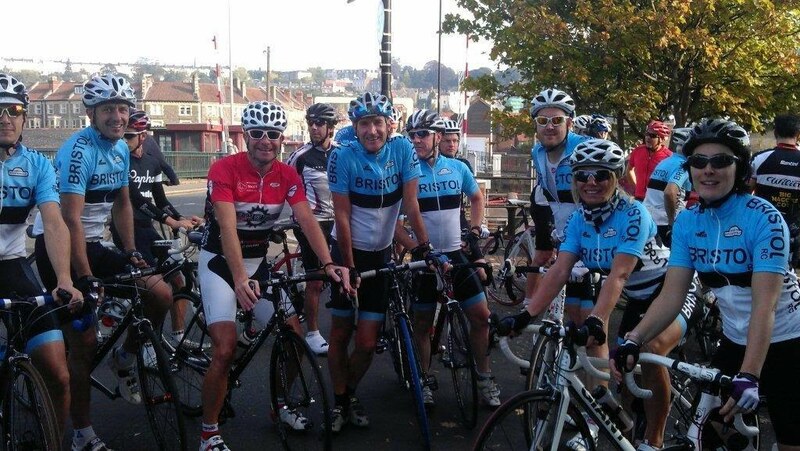 The Bristol St Nic’s Nocturne will be a showcase of national cycling excellence in the South West, including Criterium races for Elite, First, Second, Third, Fourth and Ladies categories riders as well as Youth A, B, C and D categories. There is also a Schools Go-Ride race, so get your school involved. Not a road racer? That’s fine - there will also be a Folding Bike dash, a Fixie competition and a Go-Race, all of which anyone can enter on the day – this will be a cycle spectacular not to be missed! The circuit will go up Corn Street, over ‘The Nails’, right at the top onto High St, then first right again onto St Nicholas Street, then down to the bottom to turn right onto Corn Street again to complete a lap. Take a look at the circuit. The competitors, dressed in business attire will wait 30m away from their folded bikes, at the drop of the British Flag the competitors will have to run to their steeds building them as fast as they can and setting off on a 5 lap dash. In true commuter spirit, winner takes all - there’s no second chance when it comes to catching your train… Expect fierce competition, barging and even a little cheating as our commuters race to prove their skills. The competitors must have a suitable fixed wheel bike with at least a front brake. Riders will compete to see who can do the longest track stand. Astonishing feats of cycle prowess will also be demonstrated by the longest skid competition. Special mentions will be made for the most handsome/beautiful fixie and rider as well as the longest track stands and wheelies! The Criterium or ‘Crit’ races will have top national and local cycling talent on display featuring elite riders from several racing teams including Wilier Big Maggys, Cycle Premier Metaltek, Pendragon, Sigma Sport Specialized and Rapha Condor to name a few. The racing will be spectacular around the fast challenging circuit. A crit race is unique when compared to a stage race such as the Tour de France because it is much shorter and more intense and that intensity breeds non-stop speed and excitement. Because the 1km race circuit is multiple laps on a closed road, spectators will see racers every minute, experiencing the excitement as it happens. Because crits are so spectator-friendly, it is one of the most popular competitive cycling event types in the world. The winner is the first rider that crosses the finish line after a defined length of time has elapsed. Also, throughout the race "primes" (pronounced "preems") are awarded to riders who are in the lead at specific times during the race. This encourages racers who may not have a chance at winning the overall race to go after a prime. This adds to the intensity and keeps the excitement level high throughout. Starts 12:10 for 10 mins, entry fee £5.00 on day. Starts 12:30 for 10 mins, entry fee £5.00 on day. Starts 12:50 for 15 mins, Invitation only, register your school with Go-Ride. Starts 13:15 for 15 mins, entry fee £6.00 on day or £5.00 pre-entry. Starts 13:40 for 15 mins, entry fee £6.00 on day or £5.00 pre-entry. Starts 14:05 for 40 mins, entry fee £18.00 on day or £14.00 pre-entry. Starts 15:00 for 15 mins, entry fee £10.00 on day or £8.00 pre-entry. Starts 15:30 for 40 mins, entry fee £15.00 on day or £12.00 pre-entry.